97-04 Audi/Passat 1.8T GTRS Eliminator Hardware Kit. 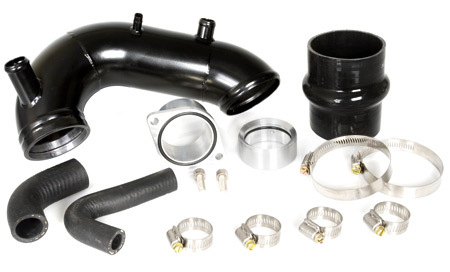 Large bore 3.0 inlet pipe upgrade for eliminator series, Stage II, or K03/K04 Turbos utilizing stock location manifold. Totally hard pipe system does not collapse under boost like rubber or silicone. Full 3.0 diameter throughout and does not taper towards the turbo*. O-ringed to provide an air-tight seal. * only tapers at the connection point. Tested to over 400 WHP, but is critical for making the first 250 WHP.